Need some Love from Above? **Currently Julie offers private readings, group events, house parties, fundraisers, as well as intuitive/mediumship/spiritual development classes. Out of state? No problem! All can be done virtually via Cloud 9! **EVENTS are listed to the side, just click the link for details and tickets. 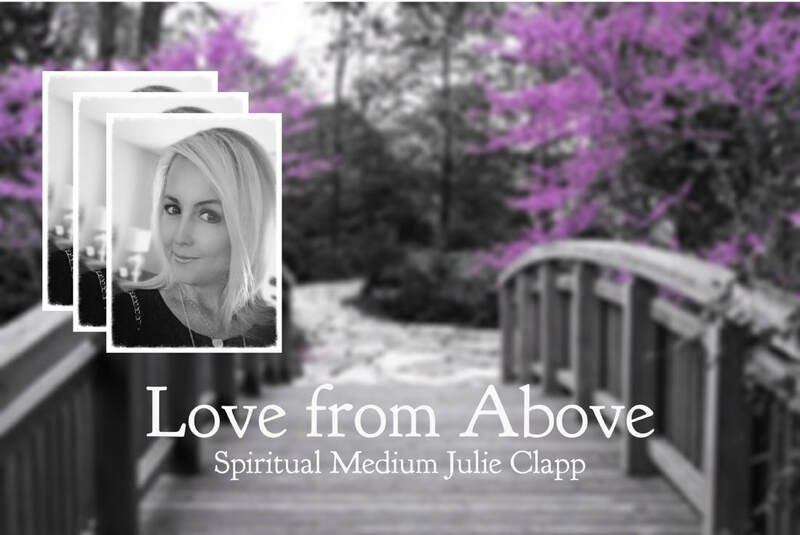 Although Julie keeps her events small and delivers many messages, readings are not guaranteed to every individual, as spirit runs the show! Scroll down to check out some of Julie's recent readings at Boston Tavern. **Sign Up for Julie's Email list to receive VIP notice of new events and discount codes. Click here to read Julie's Free Blog "that's the spirit"
Join me on Social Media for my Free Channeled Messages of the Day from Heaven..here's a few below!